Unifor has been ramping up the pressure on General Motors since the automaker in November 2018 said it would shutter its factory in Oshawa, Ont. Unifor President Jerry Dias will meet with UAW leadership in Detroit on Thursday as both unions ramp up their campaigns to save five General Motors plants in Canada and the United States. GM's plans to potentially close up to four U.S. plants and shutter Oshawa Assembly in Ontario by the end of the year will be the focus of the meeting, Dias said. GM’s plans are part of a larger corporate restructuring and have drawn the ire of both unions, who accuse the automaker of abandoning Canadian and American workers for lower wages in Mexico. 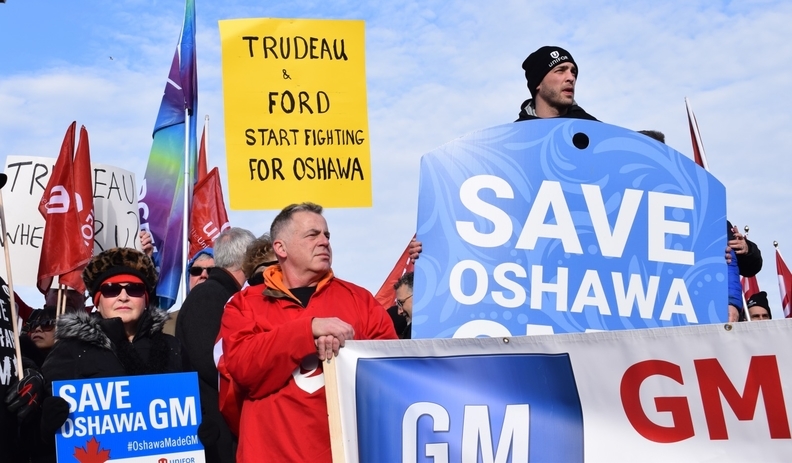 Unifor will negotiate with GM in 2020, months after the automaker plans on ending production at Oshawa Assembly. Dias is demanding GM honour the current contract and keep production going at Oshawa until the agreement expires in September 2020.